Anthony has a BS in Computer Information Systems Management enjoys video games, online gaming, and documentary filmmaking. Anthony "Tony" Selletti, BS, CHt. Author of the 2008, Fort Mifflin: A Paranormal History and a reporter for the National Examiner, Tony Selletti is a historic researcher consultant with the PAST group. With 30+ years of anomalous research experience, Tony formerly belonged to "old school" anomalous events investigative groups such as BAPI, EUROPA, & BHP. Tony has served as co-organizer of the volunteer grassroots fundraiser group the Old Fort Mifflin Heritage Society, as well organizer and co-chair with Mark Davis for the "History & Mystery" conference held at Fort Mifflin in 2009 . In the PAST, he serves as historical lead on investigations and as a historic site organizer, interviewer and technical consultant on documentary shoots. Tony and his wife Barbara are War Between the States living historians, and are involved in historic site preservation. He and his wife's family roots go back to the 1600's in the Philadelphia region, and he has studied its people and places for over 40 years. Professionally, Tony is a former med-surg nurse and is a certified hypnotherapist. He currently is a central supply manager at a rehab facility in Delaware County. Tony assists his wife Barbara in group grief facilitation. He is a member of the Old Fort Mifflin Society, the 186th Pa Vol. and a former member the 4th Texas Co. B living history group and of the Genealogical Society of Pennsylvania. He is currently researching his second book on anomalous events at historic sites . 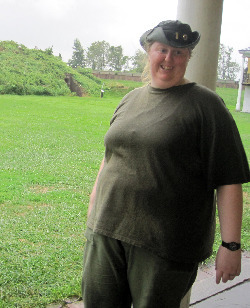 Barb Selletti is the PAST's genealogical investigative research consultant, pastoral thanatologist, and parapsychologist. She holds a MS in Pastoral Counseling/Spiritual Direction from a local university. She has been employed as an academic research librarian. Her personal ministry has evolved to address the unique challenges of grief and loss issues through one-on-one and group spiritual direction, retreats and bereavement presentations. In addition to her Masters, Barbara holds undergraduate degrees in graphic design and psychology. She is a certified hypnotherapist. She has received continuing education credits through the Hospice College of America and has served as a hospice volunteer. Her personal research interests have been focused on art process and short-term spiritual direction with the bereaved, after-death communication as bereavement schema, and researching the foundational experiences of anomalous investigators. Barbara's professional memberships include Spiritual Directors International, Association for Death Education and Counseling, the American Academy of Bereavement, the American Academy of Grief Counseling, the International Association of Counselors and Therapists and the Parapsychological Association. Paranormal History), are living historians who present lectures on the history of mourning customs, local folklore, and genealogical research. 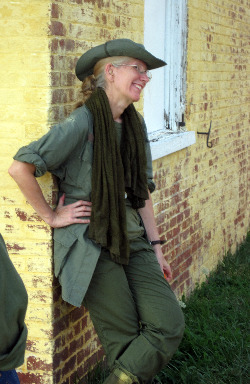 Barb is the historian for the Philadelphia Chapter of the United Daughters of the Confederacy, co-founderof the Old Fort Mifflin Heritage Society and holds memberships in the Old Fort Mifflin Society, the 186th Pa Vol. and the Broad River Historical Society. Barbara's current book projects are, Continued Encounters: Examining After-Death Communication Narratives Within the Context of a Short-Term Bereavement Group (Spring 2010); Multidisciplinary Investigation of Anomalous Post Mortem Experiences: Proof of an Afterlife: Reason for Hope; Haunted Hunters: An Examination of Anomalous Initial and Continuing Experiences in the Lives of Paranormal Investigators; The Women of Fort Mifflin, and The Strange Case of Emma Pfitzenmeyer: Suicide or Crime of Passion?